Welcome to this month's blogging carnival on bilingualism. I have had a terrible week after my fairly new computer broke down (and might have to end up in the bin). I lost a lot of valuable bits and pieces (thankfully we were making regular back-ups). So i am writing this on an old laptop hoping everything turns out ok and I haven't missed out on anything or anybody important. I am fairly new to this blogging (carnival) but every month I love reading the carnival, discovering new blogs and reading what other parents fear, battle with or enjoy about their children's multilingualism. Before motherhood took me in a new direction, I used to be a researcher in linguistics. I devoted 4 years of my life studying bilingual children and how they acquire words. But I had no idea about all of these amazing resources. Maybe there were not that many back then (oh I sound old now!). But I still think a lot of researchers and academics generally underestimate the power and knowledge of parents. Words, words, words.... 4 years, I heard you say, about words! How important are words? How are they written? How do our children learn them? How can we encourage our children to learn more of them? What do our bilingual children make of them? I tried to make this my little theme for this carnival. Every post is represented by a word on this map. But I have also included a small description about each of our wonderful posts so you can make your choice where to go. Michelle @ mothertonguesblog explains how she and her family are working at becoming a multilingual family rather than being one. 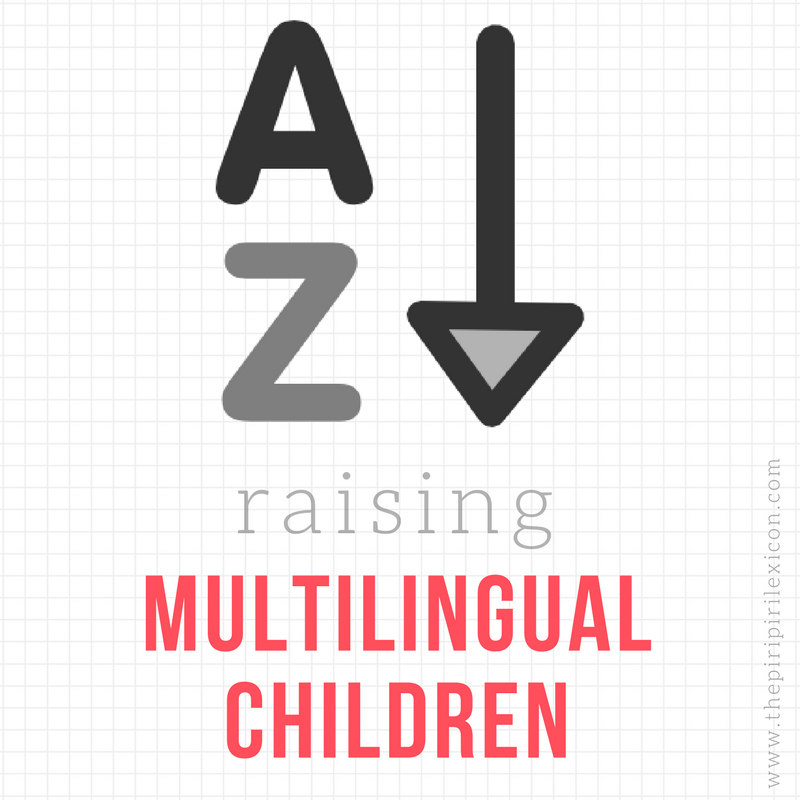 She describes how taking a very active approach to becoming a multilingual family (in her case trips abroad) is helping the whole family. Stephanie @ incultureparent battles with the use of technology (ipads) in her family. But, just like me, she has to admit that some apps seem to be helping her daughters learn Arabic (in particular writing). What is the difference between milk and wheat? Well, Cordelia @ multilingual mama shares a funny anecdote about P's misunderstanding and word constructions. I think we can all relate. My daughter also said funny things like this. Nichola (aka Bonne Maman) @ non-native bilingual adventure is putting together themed activities for her daughter while she is on maternity leave. This sounds like great fun. I am sure she could use some great tips and ideas from all of us too. Jenn @ Perogies & Gyoza has put together a very impressive plan for her children's afterschooling. This is amazing from my point of view. I never envisaged anything like this but it got me thinking. Maybe we all need to strengthen the minority language(s) in this way. A last minute addition from Jan @ Babelkid. He gave me a choice of what to pick out of their family blog. I picked this article on sticking to the minority language as I also truly believe in what they are advocating. For something a little different, Giovanna @ italobimbi write a technical article about the scientific processes invovled in language learning. Ah, takes me back to the good old days! And I finish with my own contribution. I wrote a post about why bilingual children should never be compared to their peers in x or y language when only one language is assessed (and this comes, partly, from my own research on, you have guessed it, WORDS). And thanks again to everyone for your contributions. See you next month. Another last minute addition: Check out Lynn's post @ Open hearts, Open minds. She talks about the preschool dilemna. A subject I am very interested in at the moment too. I just wanted to say I am very impressed by what you are doing for your child. I sure wish I had the same skills to give my children..instead I opt for an immersion school! Keep up the good work - it will pay off in the end and your children will surely thank you! This is an amazing carnival, good work! I love the map, thanks! Thank you for hosting! I'm glad that we have you--a linguist and a mom--among our carnival-goers. I really value your perspective! Great posts everyone! Well done! Thank you to everyone for sharing so many wonderful tips and honest accounts of bilingual parenting - I am really trying to revamp my efforts at teaching my 4-year-old French and love knowing i can turn to this community for advice and understanding! I am so behind in my blog readings! Thank you for hosting a wonderful carnival.